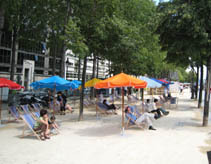 The Paris Plages beach festival every year in July and August. In parallel with the Eté du Canal summer festival, the Paris Plages beach festival runs from July 7th to September 2nd 2018 at the Bassin de la Villette ! This year there are twice as many reasons to come along to La Villette. Along the Quai de la Seine, from the Rotonde de Ledoux to the Magasins Généraux, there will be deckchairs, petanque, fountains, activities and entertainment for children and adults alike. And on both sides of the Bassin de la Villette, the water sports complex will be offering introductions to canoeing, rowing, dinghy-sailing and more besides, all conducted and supervised by instructors with officially recognised national qualifications. A host of activities await you this summer on the Quai de la Seine. In partnership with Lafarge, there will be plenty of things to do for children aged 3 to 7: a roundabout, an adventure beach, Taï-Chi, ballroom dancing, petanque, table football and more. Refreshments will be available all summer near the St Christophers youth hostel. And finally, for those wishing to learn about and get hold of leaflets on climate change and the dangers of deforestation, there will be numerous workshops throughout the time of the festival. Each year sees free water sports and boating activities: rowing, kayak polo, pedalos for children and adults, rowing boats and the floating spheres. You can also join in on the science discovery workshops run in partnership with the Cité des Sciences. Every week there will be workshops led by scientists on particular subjects such as astronomy, the sea, sand and sustainable development, among others. Finally, restaurant facilities will be available on the quayside, with the Sadaka association’s resto-bus offering a variety of inexpensive set menus. 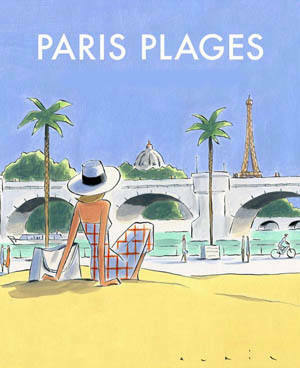 In a special tribute to a certain idea of Parisian life, Balapaname stages balls and dances of all kinds. 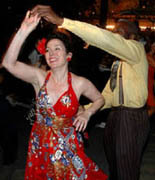 And again this year you can trip the light fantastic at the Paris-Plages guinguette in the Bassin de la Villette and along the Canal de l'Ourcq on the floating dance floors during the evenings devoted to swing, musette, tango, salsa, country or French traditional dances. Come and hurl yourself into the frenzy of the dance, whose passion will immerse you in wild and unbounded excitement! This crazy dizziness has something of the language of poetry and goes under the names of accordion music, java, swing, tango… You’ll be touched by a delectable fever… Come along and lose yourself in the frenzy!!! You want more activities around Paris's water banks? Look right there! Recreational and sporting activities are available from 9 to 12 and 2 to 7 daily. From Monday to Friday, they are reserved for the exclusive use of the Paris municipality’s leisure centres, SDI sports centres for beginners and centres for the disabled. Tube : stations Jaurès (lines 2, 5, 7 bis), Crimée (line 7), Laumière (line 5). Bus : lines 48 and 54.